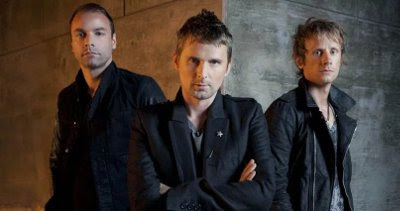 Muse were guests on Matt Wilkinson’s Beats 1 show where they they discuss global politics, their Beatles tribute band, doing a film score, their favourite director, living in LA, wanting to live in Tokyo and more. Matt: I think I wrote the first bit of it when we were in Montreal, which is French-speaking. When you’re in a country with no English-speaking TV you find yourself watching news channels because that’s the only thing in English. Usually it’s American news and if you spend a few hours watching American news, well, that’s were the first part of the song came from really. It’s kinda like some strange bubble where they’re all living up Trump’s bum basically...It gets inside your mind. I think that’s where the song came from really. You start walking round worrying about things that you wouldn’t normally think about and so the song came from that. How other people’s ideas can kinda take over your own if you’re not careful. Matt: Dig Down was the last remnants of optimism and that’s all been spent now. I guess it’s a bit more of a fiery track. I didn’t really structure the lyrics too deeply I just spouted off whatever came out. There’s an array of strange anxieties, I guess when I’m singing things like “You’ve been bitten by someone hungrier than you” - sometimes I wonder if that is me or not. Some of these anxieties have just maybe come from watching too much tv or something! So that song puts into question if what I’m singing in the verses is real or not, so when it comes to the chorus I’m saying, “I don’t know if that’s actually real, it might be somebody else’s weirdness”. Dom: So far it’s pretty mixed. It’s very different from the last album that’s for sure. The last album was very rock, guitars and rifts - stuff like that - and this isn’t sounding like that at all. It’s definitely more experimental, there’s more weird synths and stuff that we’ve been messing around with. Matt: We’re doing quite a lot of era-blending I would say. I’d say the early Romantic classical period I’d say! There’s a little whisper of that. There’s one track which is quite cool where we’ve blended a bit of Romantic classical piano with like 80’s synth, computer game music. You wouldn’t normally get that combo but it works! That’s called “Algorithm” that one. Matt: Probably yeah. We’ve done bits and pieces for film - not the whole film - like we did the opening credits for ‘World War Z’ and our songs have been used in films a lot. We did two songs for those ‘Twilight’ films didn’t we. I think we probably will if it’s the right thing. I’m not sure if our music would work with the more indie, arthouse film! I wanna do like ‘War of the Worlds’ or something. Some kind of crazy, action, sci-fi thriller. It would have to be something that fits the music. Matt: I just watched that 2 hour documentary on HBO about Steven Spielberg. An easy choice but he is tough to top isn’t he really? But what was amazing about that was he was hanging out - back in the day in his 20s - they were best buddies, him and Scorsese, George Lucas and Brian De Palma, they were just like a group of mates together and all four of them end up becoming like the biggest directors of all time. So Scorsese and Spielberg love those two. What’s that guy who did Dunkirk? He’s brilliant. Christopher Nolan. Yeah I think he’s pretty epic. Matt: Kind of the good thing and the bad thing about LA is you don’t really have any sort of town centre or streets to walk around. Everyone’s in their cars, it’s all spread out but yeah you’ve got lovely beaches there and stuff and lovely weather and all that stuff. I miss the close proximity of London though, I like everything being a bit closer together and that feeling of being in a city with thriving action. It doesn’t have that vibe, it’s more of a laid-back, chilled-out thing. It doesn’t feel like a city really. It’s huge but it doesn’t have the feel of a major city. Matt: Yeah we see them around a lot. I see the Arctic boys sometimes. Dom: Yeah they hang out. They were at the party last month, well Alex was. There’s a great music scene there and obviously there’s tonnes of musicians. There’s still a great rock’n’roll scene there, like any big city. There’s still great venues, there’s wicked studios to work at there that still seem to be existing when so many of them are just closing down all over the world and particularly here in London. It’s obviously a huge city that so many bands and artists either start from or at least come through. It feels pretty thriving in the music world. Matt: The bigger question is why is all the tech world there? Why is the majority of the tech industry like all in Silicon Valley? Right on the edge of this plate where any minute it could all just be destroyed by an earthquake? It’s so strange. I think there’s something about being on the edge that actually attracts like risk-takers or something. I’ve been trying to think about it myself - like what is it about that region of the world that has so much creativity in it - both in the creative industries but also in the tech world. Matt: I’ve always liked the idea of working in Tokyo actually yeah. I’ve always enjoyed being there. I actually contemplated it last year when we were planning to do a string session and we had a gig there in December and I thought “maybe we could do something out here” but I think that would be an interesting place to work because of the craziness of the city, the energy of it.